Every once in a while, a court issues an opinion that lays out, in painstaking detail, what can happen to parties who thumb their noses at the court and its directives. 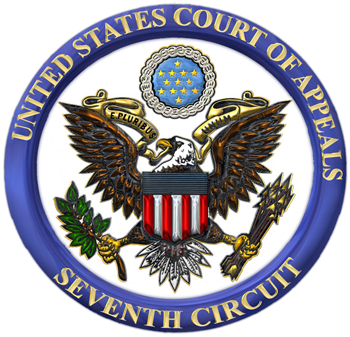 The U.S. Court of Appeals' June 25, 2018 opinion in the trade secret misappropriation (and Defend Trade Secret Act) case of Teledyne-v.-Shekar is precisely one such case. $67,186.70 in additional attorneys’ fees under the Illinois Trade Secrets Act and the Illinois Uniform Deceptive Trade Practices Act, which grant attorneys’ fees to a prevailing party when the defendant acts willfully or maliciously. Two years after hiring Shekar as a sales and marketing manager, Teledyne fired him. Shortly afterward, Teledyne found out that Shekar had, among other things, not only wrongfully transferred and retained large portions of Teledyne's confidential information and data, but had also kept Teledyne's equipment. Four days after Teledyne filed the lawsuit against Shekar, the district court issued a temporary restraining order ("TRO") requiring defendant Shekar to return all of Teledyne's equipment still in his possession, and specifically directed him to return that equipment, which included a laptop and iPhone, unaltered, within 5 days. Shekar did not comply with the Order. Instead, Shekar lied - repeatedly - about not receiving notice of the Order; that his email program automatically blocked any incoming emails from plaintiff's counsel; that the email addresses to which the notices were sent did not belong to him; (falsely) denied that the devices forensically shown to have been connected to his laptop belonged to him; and was caught turning over a fake hard drive (with a different serial number) to plaintiff under the guise that this was "the hard drive" to which Teledyne's information had been transferred (when, in fact, that drive was empty). Shekar's lies forced Teledyne's counsel to bring numerous motions to secure his compliance - all to no avail. And this all played out over the course of 3 years. Having finally had enough, the District Court issued the sanctions enuermated above. "Shekar gives us no reason to question the reasonableness of either the total number of hours or the hourly rates used to calculate the fee award. His objection boils down to a complaint that he will have to pay a lot of money. But Shekar lies in a bed of his own making. The extraordinary amount is due solely to Shekar’s decision to drag opposing counsel (not to mention the court) through a disingenuous legal battle rather than comply with the court’s clear order. Indeed, the court repeatedly warned Shekar that he was racking up attorneys’ fees every time he drew the proceedings out instead of obeying the preliminary injunction. An award of $366,956.18 is high, but not unreasonable in light of Shekar’s one‐man legal circus. You might think that Shekar was hit with hundreds of thousands of dollars in sanctions and a permanent injunction, and while that's a terrible result for him, that's the end of it. But you'd be terribly wrong. "Shekar has demonstrated nothing but disrespect, deceit, and flat‐out hostility toward the court, its officers, and opposing counsel during the three years this case has been pending. He has no cause to complain about the district court’s eminently reasonable orders. In fact, we will send a copy of this order to the United States Attorney so that he may consider whether a criminal prosecution for perjury or contempt of court is appropriate." Post a Comment to "What's the Worst That Can Happen if You Ignore an Injunction?"